A resident owner of a 1-4 unit stick-built or manufactured home (single or double-wide) that requires repairs or modifications. The applicant must have owned and occupied the property for a minimum of 5 years. In order to apply for a TRLP loan you must contact an approved TRLP Program Participant. 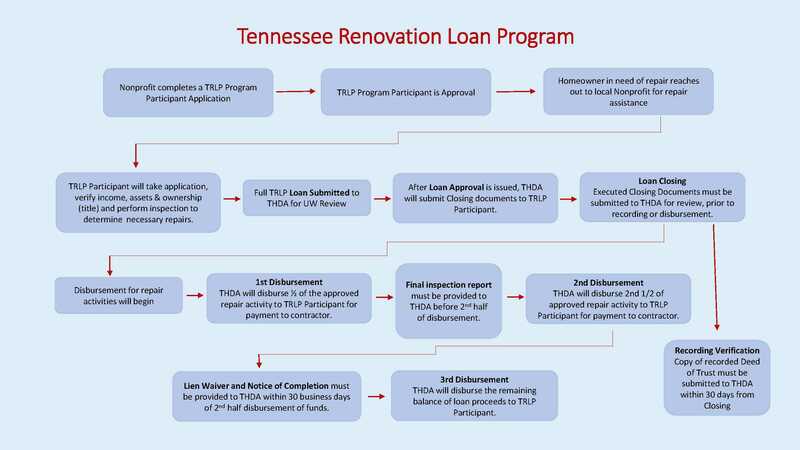 The Program Participant will determine if you meet the basic loan qualifications and if your repairs or improvements fall within THDA’s approved activities. Below are the approved agencies for the State. If your county does not appear in the list, please email sfspask@thda.org for assistance in locating a Program Participant in your area.